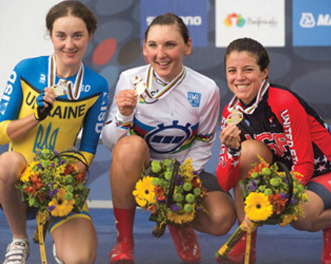 The National Cycling Center in Winston-Salem, N.C. will be the country’s premier training destination for cyclists, bringing national and international attention to the region. But more than that, the NCC is an opportunity to impact the lives of prospective cyclists and the lives of children in the community, promoting an active and healthy lifestyle. Scholarships for identified / underprivileged talent – It is our hope to be able to provide more than 100 scholarships a year to underprivileged youth, allowing identified athletes within any cycling discipline, at any competitive level in the sport, to take advantage of the facilities of the NCC. Support of community outreach programs – Childhood obesity and sedentary lifestyles are a major issue facing America. The NCC will provide nutritional and sports-related programming to encourage a growing and active cycling-oriented culture in Winston-Salem. The National Cycling Center will also be a resource for cycling-related advocacy efforts in the Winston-Salem area including bicycle safety, bike lane and greenway efforts and other cycling-related initiatives or issues. Purchase of bikes, trailer and support materials for intramural programming – The NCC will be a local resource to support active day camps for children and provide cycling as an option for public school intramural programs and support local high school mountain-biking teams. There is a need for equipment and personnel to support these efforts. 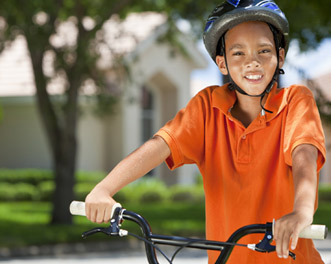 Sponsorship of helmet give-away programs – As an advocate for bicycle safety, there are numerous opportunities for the NCC to be involved in children’s programs with the Winston-Salem Forsyth County School system. 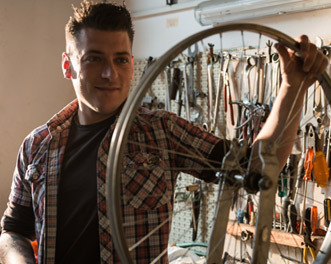 Support of “Earn a Bike” program for underprivileged youth – The NCC’s state-of-the-art repair shop and bike storage area will provide the opportunity for young riders to learn the basics of bike mechanics. Their efforts and assistance in the shop will earn them credits toward receiving a bicycle of their own. For many, this is an opportunity to not only be exposed to and potentially advance in the sport, but to gain a sense of responsibility, freedom and self-esteem. Donors will be permanently recognized on the NCC website and on the NCC “Wall of Honor”. Depending on the size of the donation, supporters will also have opportunities for VIP access to celebrity cyclists and exclusive events that take place around the city’s nationally-recognized cycling events. 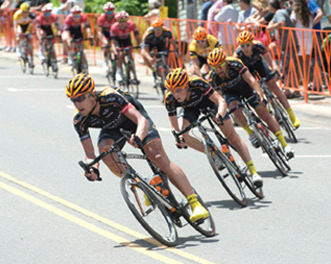 The NCC, located in Winston-Salem, N.C., will be the country’s premier training destination for elite cyclists, providing athletes access to leading-edge sports medicine research. We will also act as a community resource for cycling-related fitness, activity, education and advocacy.